Your product arrives in a perfect and sound condition despite a delay in transit. The market situation at destination has changed (arrival after Christmas, Chinese New Year, Eid-al-Fitr) and you are confronted with a significant drop in market prices. SA\VE offers you protection against loss-in-market. Your goods suffer a physical damage, affected by a delay in transit. SA\VE offers protection against damages due to delay. The cover is from door-to-door. Inland transits at origin and at destination as well as the main sea/air/land transit are covered. SA\VE provides cover for damages caused by non-completion of government stipulated cold-treatment regulations (i.e. USDA regulations). Due to this non-completion, the import may be denied or be delayed, as the cold-treatment has to run for a second time. Damages due to the delayed delivery of the goods or the necessity to sell and transport the product to a third part country are insured. Additional costs for transport, repetition of the cold-treatment and extra storage costs are covered. Damages due to interruption or malfunction of the controlled atmosphere are covered. Suffocation damages as well as other physical damages are covered. SA\VE works with independent surveyor-networks specialised in fruit inspections. With our “Head-Surveyor-System” a constant high quality in reporting is secured. Local surveyors will be supervised and controlled by the head-surveyor who is a qualified fruit-expert. He ensures that the survey is coordinated timeously and thatall relevant information is obtained by local surveyors. This is important for a quick and seemless claims settlement and also for recovery actions later on. Fluctuations in Temperature, breakdown of cooling-systems, accidents due to heavy sea, collision or overturning and delays – Claims which occur during international transits can have a critical impact on your company. 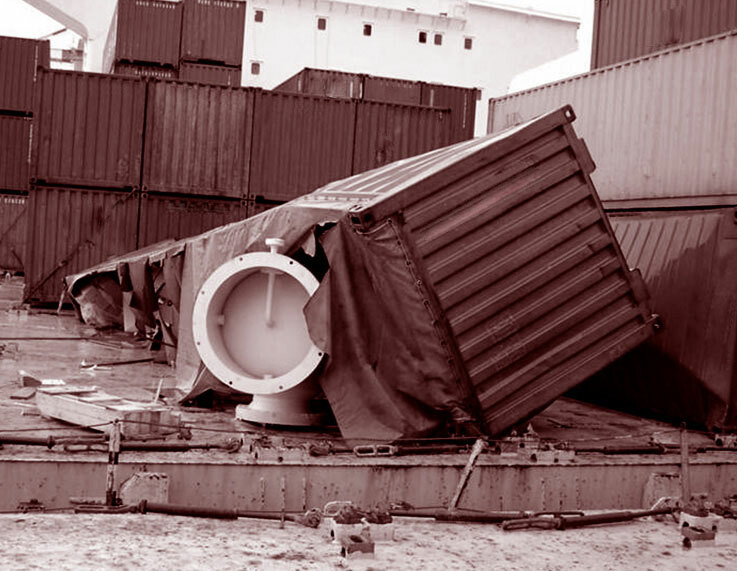 With decades of experience in Marine Insurance, consulting and loss-prevention, SA\VE secures your company’s products against losses and damages during transits. With tailor-made insurance concepts we find the best protection for your company’s needs.